The titular hero looks upon a much more dangerous jungle in Andy Serkis’ Mowgli. 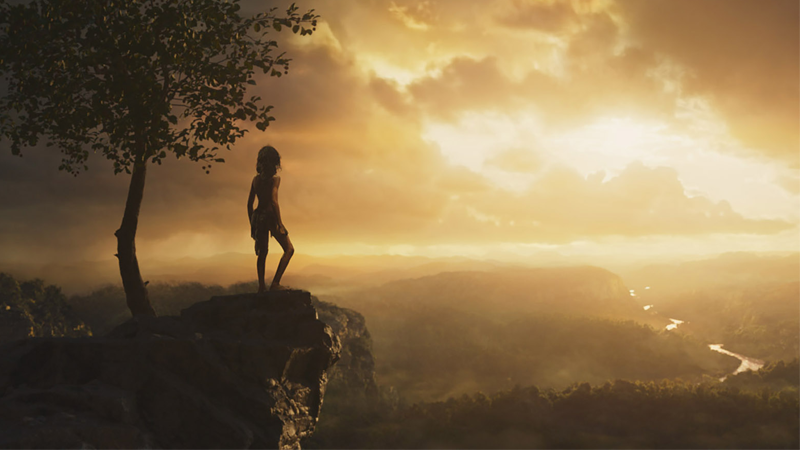 Today we got our very first look at Mowgli, Warner Bros.’ moody interpretation of The Jungle Book that’s been years in the making under the watchful eye of Andy Serkis. We spoke with Serkis to learn more about his approach to Rudyard Kipling’s iconic novel, and how his decades of experience in motion capture helped him bring the jungle and its inhabitants to life. io9: You’ve been working on Mowgli for half a decade, and that’s in addition to the Star Wars sequels, Black Panther, the Apes movies, and your directorial debut with Breathe. How does it feel now that the film is finally almost here? Andy Serkis: Yeah, it’s been great. We finished on Friday. And I have to say —since I’ve been living with this project since 2013, it’s immensely satisfying to finally, finally—to be birthed finally, after years. It’s an incredible feeling. Why do you think now is the time for a darker take on Kipling’s original novel? Serkis: I mean, I think that there is an appetite for darker, or should I say more emotionally powerful or resonant metaphor-driven storytelling. For instance, Planet of the Apes. Where there’s a seriousness about them, and we’re not tipping a nod to the audience that everything’s going to be okay. I think we live in such a world that is fraught with danger and fraught with changes, and I think it’s... alongside the big tentpole movies that are lighter and more tentpole-driven, I think there is definitely room for looking at the human condition through a prism which is slightly more serious. In the time you’ve been working on this, Disney launched their own Jungle Book reboot. How is Mowgli unique? What do you hope audiences will find unique in your interpretation beyond the darker storytelling? Serkis: So, it is a completely Mowgli-centric story, our version. And one of the things that fascinated me when I took the job on—which, by the way, was sort of before the Disney one was in the offing, really. I started working around the time they started thinking of doing it. But I love the script that Callie Kloves had written, which was this journey of an outsider, of something is kind of “other,” both in this world—this orphan child was brought up by wolves at a very tender part of his adolescence, and turns back on it in a way, over the years... and is then being forced to assimilate into the world of man. I mean, we never see that—or, we actually have never seen it—where Mowgli goes to live with humans in any other modern interpretation of the movie before. But for me, it was a complicated psychological and emotional journey, where, as I say, the jeopardy and the consequence is real. And also, I was fascinated with the time the book was written by Rudyard Kipling, himself. Because of that the fabric of our film is layered with what the book is, I think. He’s a much beloved novelist, and author and poet—but others believe him to be a child of the British Empire and therefore potentially, racist, in a sense. So the conflict within the writer himself, and the conflict within the timeline in which the book was written, is sort of doubly layered into our version of the story. What benefits do you gain from having the animal characters done with motion-capture performances instead of making them purely CG animation creations? Serkis: Well, for me, the most important thing in this story working was having emotionally believable and engaging characters that we could act with. All the animals had to be proper actors, in terms of—not that that they had to be played by proper actors—they had to be actors. They have to be believable characters. So, the thought of creating a photorealistic tiger and then plunking a voice-overed voice on top of that, for me, was never going to fly. Talking animals are very hard to pull off. You can make it look good, but it has to feel—they have to feel and be alive and have soul. So, performance capture was the routine, and obviously, I’m not a stranger to it, and it’s something I’ve been working with for many years. So, I thought this was the way to work. And also, coupled with that, it’s not just the technology, it’s the actual design of the animals. We very carefully, in a long development period, designed the animals to fit the actor’s faces. So, the way we approached it was, if you take it on the left side, you’ve got an image of Christian Bale’s face, and then on the right hand side, you’ve got an image of a panther. We morphed Christian’s face over a series of images, backwards from the panther and towards Christian until we reached a sweet spot where somewhere along that spectrum you could actually see both. So, it was in the design of the animals. That was where the secret lies. And then, having the actors just play with Rohan Chand—this extraordinary young actor who plays Mowgli—to actually have them in the same space connecting with each other and emotionally finding the scenes together. So that really was something. that was the big difference. And I think when you see it, you won’t question whether these things feel alive. How has your extensive experience with motion-capture acting influenced your motion-capture directing? Serkis: Well, it’s interesting, because when we sat down on the first day for rehearsals with our amazing cast, you know, they all asked me what is different about motion capture acting. And I was able to say to them, which is what I said all the way along the line since playing Gollum, there is no secret to performance capture acting. It is finding a character, embodying that character. It’s finding your vision—your take on what that character is in the way that you’d in any live-action movie. So, far from doing any research when you’re playing a panther—yes, watch a lot of footage and go to the zoo and observe—and bring as much physicality as you want or not, as is required to make this character feel believable. To give you an example: Benedict Cumberbatch, his Shere Khan is a very physical role, and the way that he plays it is incredible. And he brought a lot of tiger into it. At the other end of the spectrum, you have Peter Mullan, who’s playing Akela, who has a great stillness. I mean, he was wearing a pair of arm extensions and sitting on Council Rock. But he hardly moves a muscle, and there’s as much power in his stillness and in his performance, and that works for him as an actor as, you know, my physicality, or Ben’s physicality, [whether it’s] in my Baloo or his Shere Khan. So, it is really trying to maximize where the actor feels comfortable bringing that character to life. Because at the end of the day, you’re playing a character—so that’s my point. And then, I mean, the slightly different thing about this, unlike in the Apes movies where it is one-to-one performance capture. You’re on set and every single move you make is captured physically, there was a much greater degree of being hybrid in this. Because of the quadruped nature of the animals, the animators had to work tirelessly to capture the actor’s performances. I mean, you know, the Framestore, who did the visually effects on this, have really made an incredible contribution tot he movie. It’s great animation which takes the physical cues the actors are giving and turning them into believable animals, honoring the emotional engagement of the actor’s performances. It’s clear talking to you that you have such a huge passion for this field and the technology, and you’ve been campaigned to have these types of performances recognized through awards likes the Oscars. Do you see Mowgli as your proof this sort of performance should be given the credit it deserves? Serkis: I don’t see it as particularly being a mission statement. But I do firmly believe that actors’ performances should be recognized, regardless of the fact you’re not wearing a costume and make-up. For me, I keep going back to the analogy of John Hurt playing John Merrick, the Elephant Man. His performance was extraordinary, but he was totally unrecognizable—the look of the character was created by team of extraordinary make-up artists, as was Gary Oldman, by the way, in Darkest Hour. An amazing performance. But at the same time, an extraordinary look. And one couldn’t live without the other. Neither John Hurt or the team that did his make-up, or Gary Oldman or his make-up team. They’re inseparable. And yet, the same thing happens with an animator working with an actor’s performance on performance capture. They’re inseparable. They couldn’t exist without each other. But the actor, somehow, is not part of it, in that discussion. So that’s the difference. Want more? Here’s a new behind-the-scenes featurette with the actor/director about his no-singing, no-dancing take on The Jungle Book below.